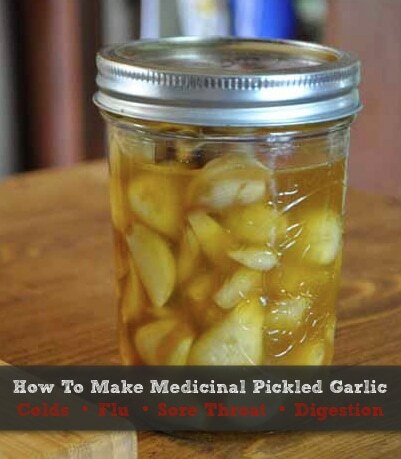 Medicinal pickled garlic treats colds and flu, sore throats, and helps alleviate digestion issues. It’s easily made with only three ingredients and great to have on hand at the first sign that you might be catching something. You’ll reap all the powerful benefits of the garlic without the intense taste of plain garlic cloves. Many find medicinal pickled garlic incredibly delicious and often addicting so it’s hard to eat just one or two.